The Boston Red Sox have announced a 2 year player development contract with the Lancaster Jethawks of the California League. The agreement comes just more than a week after the Wilmington Blue Rocks decided to sign with the Kansas City Royals, forcing the Red Sox to find a home for their High A affiliate. The agreement with Lancaster runs through the 2007 and 2008 seasons. The move returns the Red Sox to the California League for the first time in over 50 years. From 1947-1955 the Red Sox had a farm team in San Jose as the team was known as the San Jose Red Sox. In what comes as somewhat of a surprise move the Wilmington Blue Rocks decided today not to renew their player development contract with the Boston Red Sox organization. Instead, Wilmington has opted to once again affiliate with the Kansas City Royals as they were from 1993-2004. This leaves the Red Sox very few options. With Myrtle Beach set to resign with Atlanta, the Red Sox have to hope to steal Frederick away from the Orioles organization (which will be no small task), or risk a move to the hitter-friendly California League. This is something that Red Sox officials surely did not want to do as it would make it very difficult to shuttle prospects cross country between affiliates. If the Red Sox do have to go to the California League, look for it to be a short 2 year player development contract, after which Boston would attempt to move back to either the Carolina League or the Florida State League following the 2008 season. For the first time in their franchise history, Portland won the Eastern League Championship defeating Akron 8-5 in the fifth and deciding game. The Sea Dogs scored 4 runs in the second and another 4 in the third to coast to victory. Devern Hansack started and went 8 innings. He allowed 3 runs on 7 hits. He had 8 Ks and did not walk a batter. Jon Searles came into the game in the 9th and gave up 2 runs on 2 hits. Jacoby Ellsbury went 2 for 4 with a run scored and an RBI. George Kottaras went 1 for 4 with an RBI. Chris Durbin went 2 for 4 with 2 runs scored. Brian Myrow went 1 for 3 with a home run, 2 runs scored and 2 RBI. Keoni DeRenne went 1 for 4 with a run scored and 3 RBI. Attendence was 3,937. Brandon Moss was selected as the MVP of the Playoffs. He batted .361, had 5 homers and 10 RBI in the two series. Player of The Night: Devern Hansack, who won his second game of the Championship series against Akron going 8 gutsy innings. He allowed 3 runs on 7 hits. He did not give up a walk and had 8 Ks. 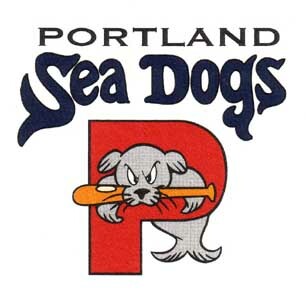 The Portland Sea Dogs are Eastern League Champions after defeating Akron 8-5 on Sunday. Brandon Moss won Eastern League Playoff MVP honors after hitting .361 with 5 home runs and 10 RBI in the playoffs. Look for details of the game shortly in Don Hyslop's final Cup-of-Coffee of the season. Moss and Devern Hansack are candidates to join the big league club now that the Eastern League season is over. Last night, Akron evened the best of five Eastern League Championship Series scoring 2 runs in their half of the ninth inning to earn a 6-5 victory over Portland. Frank Brooks started and went 6 innings. He gave up 4 runs on 10 hits and a BB. He had 5 Ks. Kyle Jackson pitched two hitless innings of relief recording 2 Ks. Barry Hertzler blew the save and took the loss. In the 9th, he gave up 2 runs on 1 hit and 2 BBs. For the second straight game, Brandon Moss led the offense. He went 2 for 4 with 2 home runs and 3 RBI. Jacoby Ellsbury went 2 for 5 and scored a run. George Kottaras went 2 for 4 with a run scored and an RBI. Luis Jimenez went 2 for 4 with a home run. The attendence was 6,187. The deciding game of the series is scheduled for this afternoon at 1 pm EST. Devern Hansack is scheduled to start for the Sea Dogs. Player of The Night: Brandon Moss who went 2 for 4 with 2 home runs and 3 RBI. Last night saw Akron score an 8-4 win over Portland. Akron jumped off to a 4-1 lead only to see the Sea Dogs fight back to tie the score at 4. Akron, however, scored 2 runs in the top of the ninth to earn their first win of the series. Andrew Dobies started the game and went 4 1/3 innings. He gave up 4 runs on 9 hits and a BB. He had 3 Ks. Rusty Tucker went 1 2/3 innings. He did not allow a run on 1 hit and a BB. He had 2 Ks. Barry Hertzler threw 2 scoreless innings giving up 1 hit. Brett Evert pitched the 9th and gave up 2 runs on 4 hits and a BB. Brandon Moss went 2 for 4 with a home run and 2 RBI. Luis Jimenez went 1 for 3 with a run scored. Brian Myrow went 1 for 3 with an RBI. The game was played before 7,195 fans at Hadlock Field. Frank Brooks is the scheduled starter for game four. Player of The Night: Brandon Moss who went 2 for 4 with a home run. Portland moved within one game of the Eastern League Championship last night with a 13-8 win over Akron. With the score 9-8 going into the ninth, the Sea Dog bats exploded for 4 runs in their half of that inning to secure the victory. Tommy Hottovy started and went 4 1/3 innings. He allowed 7 runs on 10 hits and 2 Ks. Jon Searles went 1 2/3 innings and did not give up a run on 2 hits and a BB. He had 2 Ks. Kyle Jackson went 2/3 of an inning. He gave up a run on a hit and 2 BBs. He had a K. Barry Hertzler went 1 1/3 scoreless innings. He did not allow a hit but gave up 1 BB. Brett Evert pitched a perfect 9th striking out 2. George Kottaras went 2 for 4 with 1 home run and 3 RBI. Luis Jimenez went 2 for 4 and scored 2 runs. Dusty Brown went 1 for 3 with 2 runs scored and 4 RBI. Zach Borowiak went 2 for 5 with a run scored and an RBI. The series resumes Friday night in Portland. Player of The Night: George Kottaras who went 2 for 4 with a home run and 3 RBI. Last night, Portland took the first game of the Eastern League Championship Series with a 4-3 win over Akron. The Sea Dogs jumped out to a 4-0 lead and then held off Akron's comeback which saw them score 3 runs in the bottom of the 8th. Devern Hansack started and went 7 scoreless innings. He allowed 4 hits but did not walk a batter. He had 6 Ks. It took three Sea Dog pitchers to make it through the 8th. Kyle Jackson started the inning and lasted just 1/3 of it. He gave up 2 runs on 3 hits. Barry Hertzler recorded the 2nd out but not before he allowed a run on 2 hits. Mike Bumatay got the final out of the inning without allowing further damage. Edgar Martinez pitched a perfect 9th with 2 Ks to earn the save. Jacoby Ellsbury went 2 for 5 and scored a run. Brandon Moss went 2 for 4 and scored a run. Luis Jimenez went 1 for 4 with a home run. Chris Durbin went 2 for 4 with an RBI. Game two is scheduled for tonight at 7:05 pm EST. Player of The Night: Devern Hansack who pitched 7 scoreless 4 hit innings. He did not allow a BB and had 6 Ks. Portland's opponent for the Eastern League Championship series was decided last night. Akron defeated Altoona 5-2 to advance to the finals. The series will begin Tuesday night in Akron. Akron will be a formidable opponent having finished first in their division with an 87-55 record. The two teams faced each other six times during the regular season with the Sea Dogs winning one of those six games. Cup of Coffee will resume on Wednesday following game one. Portland advanced to the Eastern League Championship series for the second straight year with a thrilling 4-3 win over Trenton. Trailing for most of the game, the Sea Dogs tied the game in the bottom of the eighth and won it in the bottom of the tenth on a walk off home run by Brandon Moss. It was the second consecutive inning that he provided heroics. In the ninth, he threw out a Trenton runner at the plate who had tried to score from second on a two out single. Frank Brooks started and went 6 innings. He gave up 3 runs on 6 hits and 3 BBs. He had 5 Ks. Mike Bumatay went 2/3 of an inning. He allowed 1 hit and a BB. He had a K. Brett Evert pitched 1 1/3 perfect innings with a K. Barry Hertzler threw the final 2 innings allowing 1 hit and a BB. Offensively, Brian Myrow went 2 for 4 with a home run and 2 RBI. Brandon Moss went 2 for 5 with a home run. Luis Jimenez went 1 for 4 with an RBI. Chris Durbin went 1 for 4 and scored a run. Attendence was 4,807. Portland will now meet the winner of the Altoona-Akron series who will meet in the fifth and deciding game of their series tonight. Player of The Night: Brandon Moss who saved the game in the top of the ninth by throwing out the potential winning run at the plate and then winning the game in the bottom of the tenth with a walk off homer. Last night Portland took a two games to one lead in their series with a 5-4 victory over Trenton. Andrew Dobies started and went 5 innings. He gave up 2 runs on 7 hits and 2 BBs. He had 4 Ks. Jon Searles pitched 2 scoreless innings of relief allowing a BB while striking out 1. Barry Hertzler threw a scoreless, hitless inning allowing a BB while striking out 1. Edgar Martinez finished off the game with a shaky ninth. He have up 2 runs on 2 hits. He had a K. Brandon Moss went 2 for 3 with a home run, 2 runs scored and 2 RBI. Luis Jimenez went 2 for 4 with 2 runs scored and an RBI. Jacoby Ellsbury went 1 for 3 with a home run and 2 runs scored. George Kottaras went 1 for 4 with a run scored and an RBI. There were 6,157 fans at Hadlock Field. The Wilmington Blue Rocks were eliminated from their playoff series losing the deciding game 9-4 to Frederick. Mike Rozier started and took the loss going 2 1/3 innings. He gave up 3 runs on 6 hits and a BB. He had 1 K. Scott Shoemaker went 2 2/3 innings. He gave up 4 runs on 4 hits and 2 BBs. He had a K. Beau Vaughan threw 2 scoreless innings allowing 2 hits while striking out 4. Justin Sturge went the final 2 innings giving up 2 runs on 3 hits. He had 1 K. Jeff Natale went 3 for 4 with a run scored. Ian Bladergroen chipped in with a home run and 3 RBI. Bubba Bell went 1 for 4 and scored a run. There were 986 fans in attendence. Player of The Night: Brandon Moss who helped lead the Sea Dogs to victory with a 2 for 3 night including a home run, 2 runs scored and 2 RBI. Portland evened their playoff series with Trenton with a 10-3 win. Tommy Hottovy started and went 6 innings allowing 3 runs on 3 hits and 2 BB. He had 3 Ks. Kyle Jackson pitched a scoreless inning giving up 1 hit while striking out 1. Brett Evert pitched a scoreless inning also allowing 1 hit. He struck out 3. Rusty Tucker pitched a scoreless ninth giving up 1 BB. He had 2 Ks. Jacoby Ellsbury went 2 for 4 with 2 runs scored and 2 RBI. George Kottaras went 2 for 4 with a home run, 2 runs scored, 2 RBI, a BB and a SB. Jeremy West went 2 for 4 with 2 runs scored and an RBI. Chris Durbin went 2 for 4. Brian Myrow went 1 for 4 with a home run, 2 runs scored and 3 RBI. Wilmington pitchers allowed only 1 hit but lost the game to Frederick 2-1. Their series is also now tied. Mike Bowden went 5 1/3 innings allowing 2 runs on 1 hit and 3 BB. He had 5 Ks. Justin Masterson went 3 2/3 innings allowing no hits and only 1 BB. He had 2 Ks. Jeff Natale, Jed Lowrie and Jay Johnson all were 1 for 4. Mark Wagner went 1 for 3. Iggy Suarez went 1 for 2. Lowell won their final game of the season defeating Aberdeen 6-1. Kris Johnson went 3 innings. He did not allow a run on 2 hits. He had 3 Ks. Jordan Craft threw 2 scoreless innings giving up 1 hit and a BB. He had 3 Ks. Dustin Richardson went 2 2/3 innings giving up 1 run on 2 hits and a BB. He had 3 Ks. Josh Papelbon went the final 1 1/3 innings. He allowed 1 hit and recorded 1 K. Mike Jones went 2 for 5 with a run scored and 2 RBI. Jon Still went 3 for 4 with 2 RBI. Reid Engel went 2 for 4 with an RBI. Luis Segovia went 2 for 4 and scored a run. Player of The Night: George Kottaras who went 2 for 4 with a home run, 2 runs scored and 2 RBI. On Wednesday, the Eastern League playoffs began with Trenton defeating Portland 3-1. Devern Hansack started and went 6 1/3 innings. He gave up 2 runs on 5 hits and 3 BB. He had 3 Ks. Barry Hertzler went 2/3 innings giving up 1 run on 2 hits and a BB. Kyle Jackson went a perfect inning recording 1 K. David Bacani went 2 for 3 with a run scored. Chris Durbin went 1 for 3 with an RBI. Wilmington defeated Frederick 3-1 to take game one of their Carolina League playoffs. Clay Buchholz started and went 6 innings allowing 1 run on 3 hits and a BB. He had 10 Ks. Bryce Cox went 2 scoreless innings. He did not allow a hit and gave up 1 BB. He had a K. Mike James had a perfect ninth with a K. Jeff Natale went 3 for 5 with an RBI. Bubba Bell went 2 for 4 with a home run and 2 RBI. John Otness went 2 for 4. Lowell defeated Aberdeen 5-3. Jeff Farrell went 5 innings allowing 2 runs on 2 hits and 5 BB. He had 3 Ks. T.J. Large went 4 innings allowing 1 run on 2 hits and a BB. He had 5 Ks. Chih-Hsien Chiang went 2 for 4 with a run scored. Luis Exposito went 2 for 4 with an RBI. Reid Engel went 1 for 3 with a home run and 2 runs scored. Player of The Night: Clay Buchholz who went 6 innings allowing just 1 run on 3 hits. He allowed 1 BB while striking out 10. With playoff action not yet started, Lowell was the only team in action last night. They defeated Aberdeen 14-7. Ryne Lawson started and went 5 innings. He gave up 5 runs on 5 hits and 3 BB. He had 3 Ks. Brian Steinocher went 2 2/3 innings. He allowed 2 runs on 3 hits and a BB. He had 3 Ks. T.J. Large finished up the final 1 1/3 innings. He did not allow a run, hit or a BB. He had 2 Ks. Paul Smyth went 2 for 5 with a home run and 2 runs scored. Chih-Hsien Chiang went 2 for 5 with a run scored and 3 RBI. Reid Engel went 3 for 4 with a home run, 2 runs scored and 3 RBI. Luis Segovia went 1 for 4 with a home run, 2 runs scored and 4 RBI. Both Portland and Wilmington begin their playoff series tonight. Player of The Night: Reid Engel who went 3 for 4 with a home run, 2 runs scored and 3 RBI. On Monday, Boston officially announced the signing of first round draft pick Daniel Bard. Bard was selected 28th overall, immediately following Boston's first pick, Jason Place, selected at 27. Bard is believed to have signed a contract at above-slot value for a 28th round pick. However, it's not rumored to be a major league deal as he supposedly was seeking. He will report to Fall Instructional League in October, and will likely begin the 2007 season with Greenville or Wilmington. Bard pitched for North Carolina in the College World Series in 2006, and effortlessly reached 98 mph on the radar gun. However, scouts say his fastball lacks movement and his secondary pitches need some fine tuning. Regardless, Bard immediately finds himself among the top Red Sox pitching prospects. On Labor Day, Syracuse defeated Pawtucket 5-3. Rob Henkel went 6 innings giving up 5 runs on 10 hits. He did not allow a walk and had 5 Ks. Phil Seibel went 2 perfect innings. He had a K. Ron Calloway went 2 for 4 with an RBI. Chuck Jeroloman went 1 for 3 with a home run. Portland clinched a playoff spot before completing their game when Binghamton lost, but the Sea Dogs still came from behind in the final inning to edge New Hampshire 3-2. Frank Brooks started and went 5 innings. He gave up 2 runs, one of them earned, on 4 hits. He had 3 Ks. Brett Evert went 2/3 of an inning retiring all the batters he faced. He had a K. Barry Hertzler retired the only hitter he faced. Edgar Martinez pitched one perfect inning. Jacoby Ellsbury went 2 for 3 with a home run. Luis Jimenez went 1 for 2 with a home run. Wilmington defeated Frederick 6-3. John Barnes went 5 innings allowing 3 runs on 2 hits and 6 BB. He had 6 Ks. Scott Shoemaker threw 2 scoreless, hitless innings. He gave up a BB and had 3 Ks. Justin Sturge went 2 scoreless innings. He gave up 1 hit and a BB. He had 2 Ks. Jeff Corsaletti went 2 for 3 with an RBI. Jed Lowrie went 2 for 3 with a run scored. John Otness and Iggy Suarez each went 2 for 4 with a run scored and an RBI. Kannapolis defeated Greenville 8-1. Ismael Casillas started and went 3 innings giving up 1 run on 3 hits and 2 BB. He had 2 Ks. Hunter Jones went 3 scoreless innings. He gave up 1 hit and had 4 Ks. David Timm went 1/3 of an inning. He gave up 5 runs on 5 hits. Pedro Vasquez went 1 for 2. Tony Granadillo went 1 for 3 with an RBI. Yahmed Yema went 1 for 3 with a run scored. Lowell lost both ends of a doubleheader to Brooklyn by identical 3-2 scores. J.T. Zink went 6 innings giving up 2 runs on 4 hits and a BB. He had a K. Jordan Craft threw 2 scoreless innings giving up a hit. He had 3 Ks. Felix Ventura went 2/3 of an inning giving up the winning run on 2 hits. He had a K. Jon Still went 2 for 3 with a run scored. Zak Farkes went 2 for 4. In the other game, Travis Beazley started and went 6 innings. He gave up 1 run on 5 hits and a BB. He had 6 Ks. Josh Papelbon went 2/3 of an inning. He blew the save and took the loss giving up 2 runs on 2 hits and 2 BB. He had 2 Ks. Mike Jones and Reid Engel each went 1 for 3 with an RBI. Luis Exposito went 1 for 2. Player of The Night: Jacoby Ellsbury who went 2 for 3 with a home run that tied the game in the Sea Dogs final time at bat. On Sunday, Pawtucket defeated Syracuse 7-4 in 12 innings. Chris Smith started and went 6 innings. He gave up 2 runs on 6 hits. He did not allow a BB while striking out 6. Craig Hansen went 1 2/3 innings. He gave up 1 run on 2 hits. He had 3 Ks. David Lee went a clean 1/3 of an inning. Jermaine Van Buren went 2 innings giving up 1 run on 3 hits and a BB. He had 2 Ks. Jason Richardson went 2 scoreless innings. He gave up 1 hit and had 1 K. Willie Harris went 3 for 6 with a home run and 2 runs scored. Alex Machado went 2 for 6 and scored twice. Ron Calloway went 2 for 6 and scored a run. Jeff Bailey went 3 for 6 and had 3 RBI. Corky Miller went 2 for 6 and scored a run. Trent Durrington went 3 for 6 with a run scored and an RBI. Portland's game with New Hampshire was postponed due to rain and will be made up today as part of a doubleheader. Wilmington edged Frederick 5-4. Mike Rozier went 4 2/3 innings allowing 4 runs on 6 hits and 3 BB. He had 5 Ks. Kevin Guyette went 2 1/3 innings. He did not allow a run on 1 hit. He had 2 Ks. Bryce Cox went 1 perfect inning. He had 2 Ks. Mike James also went 1 perfect inning. He had a K. Andrew Pinckney went 3 for 4 with 2 home runs and 3 RBI. John Otness went 2 for 4. Kannapolis defeated Greenville 4-2. Ryan Phillips went 6 innings giving up 3 runs on 5 hits and a BB. He had 6 Ks. Kyle Fernandes went 3 innings allowing a run on 3 hits and a BB. He had 2 Ks. Tony Granadillo went 2 for 3 with a home run. Matt Mercurio went 2 for 4. Ryan Khoury went 2 for 3 with a run scored. Lowell defeated Brooklyn 9-6. Felix Doubront went 5 innings giving up 4 runs on 3 hits and a BB. He had 3 Ks. Dustin Richardson went 2 innings. He did not allow a run giving up 1 hit and a BB. Jean Guillen went 2/3 of an inning. He allowed 2 runs on 2 hits and 3 BB. He had a K. Josh Papelbon closed out the game going 1 1/3 innings. He did not allow a hit but gave up 1 BB. He had 3 Ks. Chih-Hsien Chiang went 2 for 5 with a run scored and an RBI. Manny Arambarris went 3 for 4 with a home run, 2 runs scored and 3 RBI. Mike Jones went 3 for 5 with a home run, 2 runs scored and 4 RBI. Jon Still went 2 for 5 with an RBI. Player of The Night: Andrew Pinckney who went 3 for 4 with 2 home runs and 3 RBI. On Saturday, Pawtucket blanked Ottawa 5-0. Charlie Zink started and pitched 7 scoreless innings allowing just 3 hits. He did not walk a batter and recorded 4 Ks. Phil Seibel pitched a 1 hit scoreless inning with 1 K. Javier Lopez closed the game out pitching a perfect ninth. Trot Nixon went 2 for 4 and scored 2 runs. Jason Varitek went 2 for 4 with a run scored. Corky Miller went 3 for 4 with a home run and 4 RBI. Alex Gonzalez went 1 for 3. New Hampshire edged Portland 1-0 in 13 innings. Tommy Hottovy started and went 7 shutout innings giving up just 2 hits and a BB. He had 6 Ks. Kyle Jackson pitched 2 scoreless innings allowing 1 hit and a BB. He had 2 Ks. Rusty Tucker went 2 scoreless innings. He gave up 2 hits and a BB while striking out 2. Jon Searles went 1 2/3 innings. He was charged with 1 run on 3 hits. He had a K. Mike Bumatay went 1/3 of an inning allowing a hit and a BB. He had 1 K. Brandon Moss went 2 for 5. Wilmington defeated Frederick 7-1. Gary Galvez started and went 6 innings allowing 1 run on 6 hits and a BB. He had 2 Ks. Beau Vaughan threw 2 scoreless innings allowing 2 hits while striking out 2. Justin Sturge pitched the final inning allowing no hits and a BB. He also had a K. Bubba Bell went 1 for 3 with a home run and 4 RBI. Ian Bladergroen went 2 for 4 with a run scored. Jeff Natale went 1 for 2 with a run scored and an RBI. Greenville outscored Kannapolis 9-6. Tim Cox started and lasted 5 innings. He gave up 4 runs on 4 hits and 3 BB. He had 3 Ks. Chad Rhoades threw 3 innings of shutout ball. He gave up 3 hits and a BB. He had 2 Ks. Ryan Colvin went 2/3 of an inning. He gave up 2 runs on 1 hit and 3 BB. He had 2 Ks. Blake Maxwell recorded the final out. Mickey Hall went 3 for 5 with a run scored and 2 RBI. Ryan Khoury went 3 for 5 with 2 runs scored and an RBI. Matt Mercurio went 2 for 5 with 2 runs scored and 2 RBI. Mike Leonard went 2 for 3 with a run scored and an RBI. Aaron Bates and Tony Granadillo each went 2 for 4 and scored a run. The Lowell / Brooklyn game was postponed due to rain. Player of The Night: Charlie Zink who threw 7 innings of shutout, 3 hit ball to lead Pawtucket to victory. He did not allow a BB while striking out 4. On Friday, Pawtucket defeated Ottawa 3-1. Marc Deschenes started and went 6 shutout innings. He gave up 3 hits and 2 BB. He had 4 Ks. Craig Hansen went 2 scoreless innings. He did not give up a hit or a BB. He had 1 K. Jermaine Van Buren finished off the game. He allowed a run on 2 hits and a BB. He had 2 Ks. Jeff Bailey and Alex Machado each went 2 for 4. Jason Varitek went 1 for 3 with a home run. Trot Nixon went 0 for 4. New Hampshire edged Portland 8-7 with the potential tying run being thrown out at home to end the game. Jose Vaquendano started the game and went 4 1/3 innings allowing 7 runs on 5 hits and 5 BB. He had 5 Ks. Jon Searles went 1 2/3 innings and gave up a run on 3 hits. Brett Evert went 1 2/3 scoreless innings giving up 2 hits and a BB. He had a K. Barry Hertzler threw 1 scoreless inning. He gave up a BB. Luis Jimenez went 2 for 3 with 2 runs scored and an RBI. Brian Myrow went 2 for 4 with a run scored and 2 RBI. Jeremy West went 2 for 5 with a RBI. Alberto Concepcion went 2 for 3 with a run scored and 2 RBI. Both games of the Wilmington/ Salem doubleheader were cancelled as a result of Ernesto. Greenville edged Kannapolis 6-5 in 10 innings. Mario Pena went 5 2/3 innings allowing 3 runs on 11 hits and 2 BB. He had 2 Ks. Jason Blackey went 2 innings giving up 2 runs on 2 hits and 2 BB. He had a K. Hunter Jones threw 2 1/3 perfect innings. He had a K. Dominic Ramos went 3 for 4 and scored 3 times. Tony Granadillo went 2 for 4 with 2 RBI. Luis Soto went 1 for 3 with 3 RBI. Finally, Staten Island defeated Lowell 10-5. Jeff Farrell went 3 2/3 innings allowing 5 runs on 4 hits and 2 BB. He had 4 Ks. Felix Ventura went 2 1/3 innings giving up 2 runs on 3 hits and a BB. He had a K. Jordan Craft went an inning allowing 3 runs on 3 hits and 2 BB. He had a K. David Timm went 2 scoreless innings allowing a hit while striking out 2. Kris Negron went 2 for 4 with a run scored. Jon Still went 2 for 3 and scored twice. Reid Engel went 2 for 4 with 2 RBI. Player of The Night: Dominic Ramos who went 3 for 4 with 3 runs scored to help lead Greenville to their win. On the last day of August, Ottawa trounced Pawtucket 9-1. T.J. Matthews started and went 5 innings giving up 8 runs on 12 hits. He had 3 Ks. T.J. Large went 3 innings. He did not allow a run on 2 hits and 2 BB. He had 1 K. Brad Baker went an inning giving up a run on 2 hits. He had 2 Ks. David Murphy went 2 for 4 with an RBI. Corky Miller went 2 for 3. Portland moved a game closer to clinching a playoff spot with a 3-0 victory over Binghamton. Devern Hansack had an outstanding performance. He went 7 scoreless innings allowing just 1 hit and a BB. He had 12 Ks. Barry Hertzler went 1+ innings. He did not give up a run but had 4 BB. Edgar Martinez got the save retiring all three batters he faced. He had 1 K. Luis Jimenez went 1 for 3 with a home run and 3 RBI. The Wilmington - Salem game was postponed due to rain. Greenville lost both ends of a doubleheader to Augusta by scores of 7-0 and 4-2. Ryne Lawson started the first game and went 3 2/3 innings. He gave up 5 runs on 6 hits and 4 BB. He had a K. Ismael Casillas went 2 1/3 innings. He gave up 2 runs on 1 hit and 2 BB. He had 3 Ks. Pedro Vasquez went 1 for 2. Yahmed Yema, Luis Soto and Mike Leonard all went 1 for 3. Chris Jones started the other game and went 5 innings giving up 4 runs on 4 hits and 3 BB. He had 3 Ks. Kyle Fernandes went an inning retiring all three hitters he faced with 2 Ks. Yahmed Yema and Dominic Ramos both went 2 for 4. Aaron Bates went 2 for 3 with a home run and 2 RBI. Lowell defeated Staten Island 8-1. Kris Johnson went 3 innings. He did not give up a run on 2 hits. He had 2 Ks. Justin Masterson went 4 innings and did not allow a run on 5 hits. He had a K. Yulkin German went 2 innings. He gave up a run on 1 hit. He had 2 Ks. Kris Negron went 2 for 3 with a run scored and 3 RBI. Jorge Jimenez went 2 for 4 and scored 2 runs. Jon Still went 2 for 4 with 2 runs scored and 2 RBI. Player of The Night: Devern Hansack who pitched 7 scoreless innings allowing just 1 hit while striking out 12 Mets.